When selecting a company to install new equipment or renovate your in ground swimming pool, make sure you choose the best Birmingham, AL, has to offer. 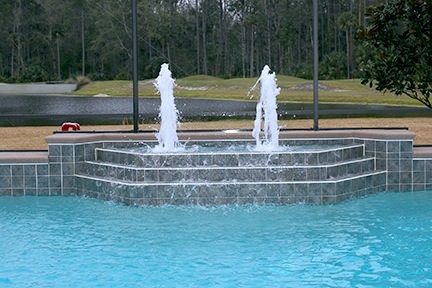 Steel City Pools has a high reputation and expertise in all work related to in ground swimming pool repair and equipment installation. We can advise you on scheduling regular pool cleaning and maintenance services to keep your swimming pool's water balanced, clean, and pristine. We are a local company serving the public and private swimming pool needs of the entire greater Birmingham area, including Hoover, Homewood, Vestavia Hills, Mountain Brook, and Trussville. 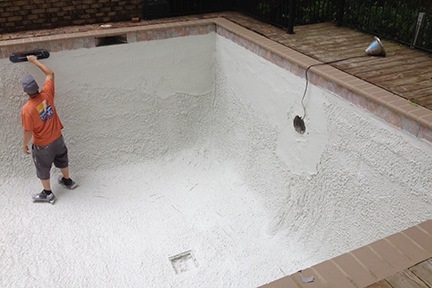 If you have an older swimming pool in need of restorative work, we can resurface the interior walls with new plaster and replace broken or stained swimming pool tiles, renovating your swimming pool to your exact specifications, bringing it back to the vision of beauty it was initially built to be. Our rates are affordable and our service can't be beat. Our company offers the most complete and efficient swimming pool renovation and repair services for both public and residential pols. 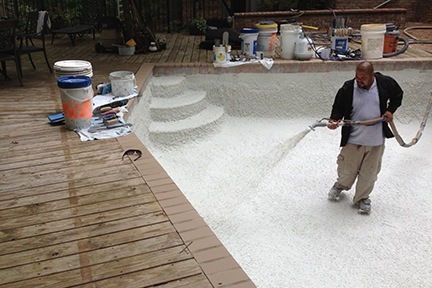 We can retile, plaster, or repair coping, as well as install features, accessories, and equipment such as fountains, ladders, and automatic pool vacuums. 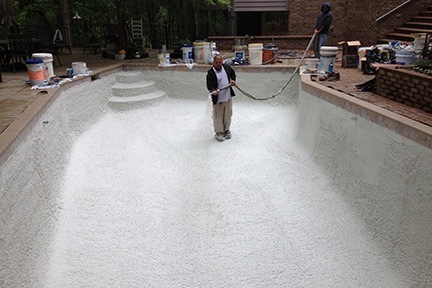 We also offer salt water conversion for your swimming pool if desired. Steel City Pools sells and installs all swimming pool equipment, and also takes care of our products with repair and maintenance afterward. Weekly pool maintenance is one of our highest priorities considering Birmingham's Southern climate. Swimming pool owners in Birmingham know they can rely on Steel City Pools for their regular pool maintenance needs, keeping their swimming pool’s water clear, properly chlorinated, and beautiful. We also are on call for any repairs or renovation desired. Contact Steel City Swimming Pool Construction and Renovation at 205-612-7011. Our expert staff will arrange a consultation to go over your swimming pool needs and answer any question you may have.